PES 2013 set for September 14 release? 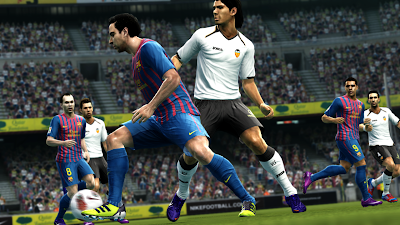 PES 2013 could be released two weeks before FIFA 13, a retail source has suggested to the gaming site VideoGamer.com. The source - who has asked to remain anonymous - claimed that the October release window for PES 2013 hinted at by a recent advert was no longer relevant. Instead, the source claims that the date carried by Blockbuster's website, September 14, is "more accurate". If true, this would be the first time a PES title has gone on sale before FIFA since the launch of Pro Evolution Soccer 3 way back in October 2003. PES typically goes on sale in October following FIFA's late September slot - this year, EA's date is September 28. Konami's CEO "is personally involved to ensure all licensing is resolved in time for this date," the source added. VideoGamer.com has contacted Konami for comment.